Central Arizona ruled the courts at the USTA Southwest Tri-Level Section Championships, winning both the men's and women's events with dominating performances. 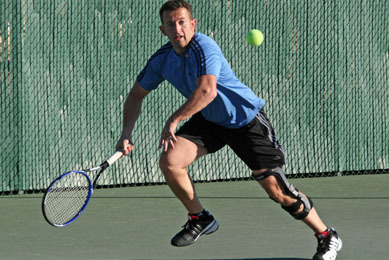 The Tri-Level Championships took place Jan. 14-16 at the Tucson Racquet & Fitness Club in Tucson, Ariz. 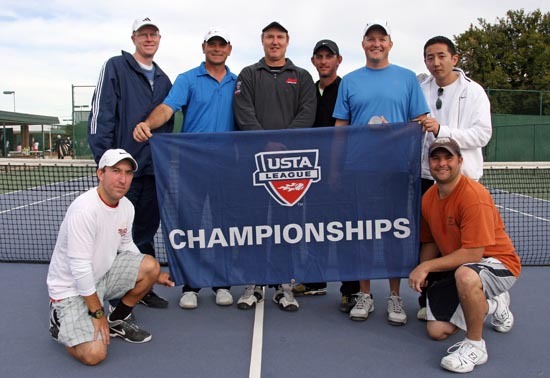 Team members of the men's CAZ squad were captain Joe Johnson, Mike Flinn, Jonathan Levy, Niles Jackson, Rick Miller, Michael McDowell, Bodie Hull, Oleg Bortman, Alan Neumann, Darin Allen, Stuart McNicol, Kevin Clark, and Steve Yang. In women's play, Central Arizona (Brannon) defended their title from a year ago with a comprehensive run through the three-day event. Much like their male counterparts, no other team came within 11 games of them in any individual match. Team members of the CAZ women's squad were captain Cindy Brannon, Barbara Easterly, Mary Ann Niccoli, Karen Petlin, Carrie May, Julie Stelse, Robin Parmley, Amy Rhoden, Kristy Miller, Joy Dwindell, Kristin Morgan, Linda Fletcher and Elaine Solomon. Match totals were added up after all four rounds were complete on Sunday to determine the final winners. The Tri-Level is unlike regular USTA League play and uses a cumulative games-won format at the Championships, with the men's and women's team winners being the team with the most games (not individual match lines) won. A carrot to participating in Tri-Level leagues is the invitational national championship held concurrently each year with the BNP Paribas Open at the Indian Wells Tennis Garden in Indian Wells, Calif. Both the men's and women's Central Arizona teams will now get the chance to compete at the the 2011 BNP Paribas Open Tri-Level National Championships ,which will be held March 18-20, 2011. Tri-Level is a growing format in the Southwest and across the nation with more and more teams participating each and ever year. The Tri-Level format uses the non-traditional "games-won" format over the individual match lines won format. This puts an emphasis on scrapping for every game played. 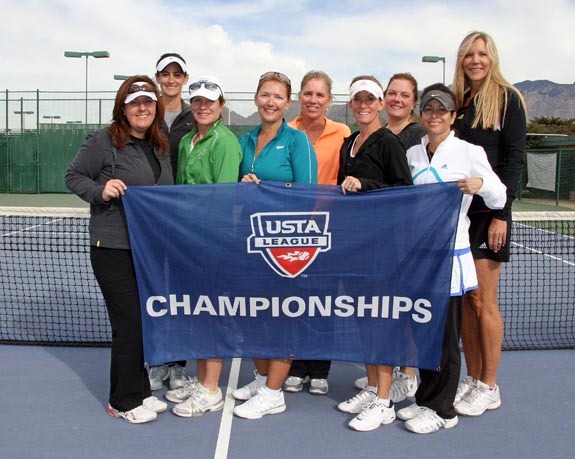 USTA Southwest League Championships are sponsored by Arizona's largest tennis retailer, All About Tennis. For strings, racquets, apparel, shoes, and other tennis accessories and items, visit their store in Scottsdale, Ariz. Please support All About Tennis as they are supporting tennis in the Southwest!